Welcome to the good life! In Italian, Bella Vita means just that ("the good life"), and the Bellavita Tile company aims to inject positive vibes, energy, elegance and pleasure into every residential and commercial, living and work space where Bellavita Tile is installed. With a variety of new collections, and more on the horizon, Bellavita has established itself as one of the top tile manufacturers in the world. Their artistic point-of-view displays a keen eye for detail, while managing to offer an array of gorgeous understated looks that create a blank canvas for decor; or bolder, more unique designs for those looking to create a statement with their tile installation ideas. Either way, custom looks and creative designs are limitless with the Bellavita offerings. No hopping a plane and crossing the pond is necessary in order to live the good life in your existing space and enjoy the perks of an elegant European holiday every day. 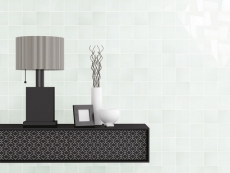 Bellavita Tile products are meant to enliven any space. 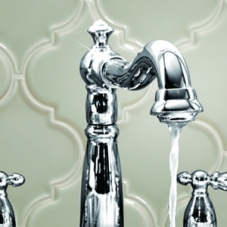 If your floors or walls are in need of a style update, or you're just looking to change the feel of your space, the Bellavita Tile company has a reputation for never sacrificing style and design elements for their highly durable glass tile. Their unparalleled materials are available in many popular customizable formats and substantial sizes that create limitless possibilities for any space. An expansive range of styles and designs are available in each offering. Each series is extraordinary and one-of-a-kind – just like you. Enjoy more of the good life, with Bellavita Tile. The visionary aspiration of Italian tile maker - Bellavita Tile - is essentially to lift overall standards on what establishes the very meaning of the company’s name. Meaning “the good life”, the phrase “Bella Vita” stands for the company’s dream of being the criterion company that people love to engage in business with, that employees wish to work for and that other companies strive to be like. 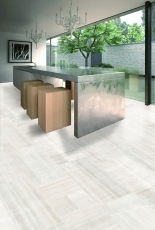 Because a namesake is something one hopes delivers an immediate good impression and is never forgotten because of the extensive follow-through and know-how, the mission is clear at Bellavita Tile: exemplify the experience they work to achieve each day. To achieve such a vision is important, but Bellavita insists on this only being secondary to the tile makers true purpose. By looking in each and every direction for inspiration and direction, creative boundaries do not exist. Their pledge to keep getting better in every way in terms of design - such as more sustainable design through eco-friendly flooring options and green manufacturing processes - has earned Bellavita the reputation of providing both innovative and reliable commercial and residential tile products for interior designers, architects, contractors, builders and homeowners. They are also active members in the TTMAC, CTDA and NAFCD industry associations, and fully embrace and endorse the standards they represent. But most importantly to Bellavita Tile is that the principal nature of Bellavita is not just found in one-of-a-kind tiles on your wall, or locked away in a designer’s secret file. Their belief: the good life is found in the choices we make every day. After all, understanding art (like life) is as much a study of the artist’s choices as it is the end result. 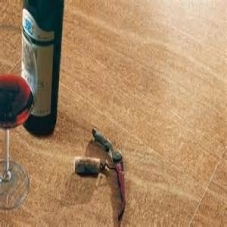 Shop the vast and cutting edge Bellavita Tile Collections below..